BRYAN EATON/Staff photo. 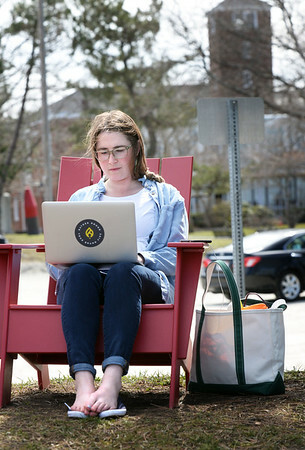 With shoes off, Andrea Logan of South Eliot, Maine works on her laptop at the Newburyport waterfront. She works at Ember, an event planning company in downtown, and decided to make her "office" outside with the warm weather.